Preheat the oven to 200c/400f and put a flat baking tray to one side. Place the egg one bowl, the flour, salt and pepper in a second bowl, and the breadcrumbs in the third bowl. Sprinkle the smoked paprika onto the breadcrumbs and then drizzle the oil on too. Mix the breadcrumbs, paprika and oil together so the the oil absorbs into all of the breadcrumbs. Take a heaped tablespoon of mashed potato and flatten it in your hand. Place a cube of cheese in the middle and wrap the mashed potato around it. Shape into a cylinder shape. Dip the croquette into the flour, then into the egg and finally into the breadcrumbs, ensuring the croquette is completely covered. Place on the baking tray and repeat with the rest of the mashed potato. 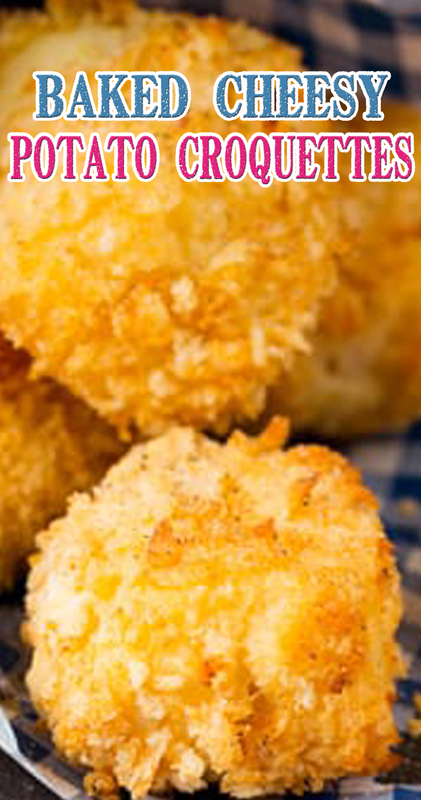 Ensure there is a little space between each of the croquettes on the tray, then place in the oven for 12-15 minutes until the croquettes are golden. Don't overcook or the cheese will start to seep out and the croquettes will flatten out a little. Take out of the oven and leave to cool for a few minutes before serving with a squirt of ketchup and a sprinkle of salt and pepper.